Do Auto Loans Require Comprehensive Insurance? You probably want to apply for an auto loan and get a new set of wheels. However, one question lingers in your mind. It actually determines whether you can afford to maintain your car. Do Auto Loans Require Comprehensive Insurance? Do Auto Loans Require Comprehensive Insurance? Yes! What is a Comprehensive Auto Insurance Cover? Do Auto Loans Require Comprehensive Auto Insurance? Yes, they do! Are there any consequences for failing to get a comprehensive car insurance plan if you have an auto loan? Do Auto Loans Require Comprehensive Insurance? You now know the answer! 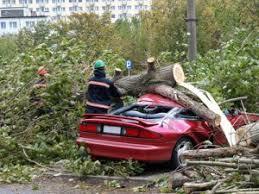 This type of car insurance offers compensation for hostile weather conditions, natural disasters, and vandalism. A comprehensive auto insurance cover also entitles you to receive compensation after suffering car damage caused by a hit-and-run driver. Does comprehensive insurance cost more expensive than a third party plan? Usually, it is, however, it also depends on a few factors. If you have an excellent auto insurance score, you may come across car insurance companies that offer really affordable comprehensive insurance quotes. If you own or are planning to buy a high-end car, you need a comprehensive auto insurance cover. Why? Because replacements cost an arm and a leg. Imagine yourself walking to the mall’s parking lot and you notice your 2018 Jaguar XJ has a large ugly dent on the rear bumper because of a reckless driver. It will cost you at least $3,000 to get it fixed. One of the conditions that come with an auto loan is mandatory comprehensive car insurance. It might seem unfair because, on top of paying loan monthly installments, you also incur gas and servicing expenses. However, you gain full ownership of your car after paying all your installments within the required period. While paying auto loan installments, your lender expects you to take full care of the car. In case you’re unable to afford the car, a lender can simply repossess and resell it. Why? Because owning a comprehensive auto insurance cover enables you to receive compensation within 48 hours. If you have a third-party cover and a violent hailstorm damaged your car, it will be hard to sell it. First, you’ll need a lot of time to save up for costly repairs. Second, the car’s price reduces drastically due to the several months spent in accumulating enough money for a full body repair. While applying for an auto loan, your lender will inform you of this insurance requirement. You’ll also see it printed in the auto loan application form. Once you sign the application, it’s a strong indicator that you’ve understood and agreed with the lender’s terms and conditions. This applies to the consequences that come with a breach of contract. We’ve understood that auto loan lenders enforce comprehensive car insurance policies due to the possibility of repossession. Signing up for a different cover will not protect your car against natural disasters or vandalism. If your auto loan lender realizes this violation, they can automatically terminate your car loan. You automatically lose your car as well as any down payment and paid installments. Some auto loan lenders may let you retain the car if you get a third-party insurance plan. However, they’ll immediately adjust your car loan installments upwards due to an increased risk of doing business with you. In fact, your car loan installment can increase by at least 50 %. Have you ever heard about forced placed insurance coverage? It’s a payment that arises when an auto loan lender imposes an expensive interest rate to compensate for your lack of a comprehensive car insurance cover. However, the saddest part about paying a forced placed insurance coverage is that it DOESN’T OFFER ANY compensation to you or your car. If your lender decides to terminate your auto loan due to violating car insurance agreements, you’ll notice a drop in your credit score. First, your payment history reads incomplete because they don’t add up to your initial debt, which is the auto loan value. This directly affects your payment history. Your payment history constitutes 35% of your credit score. That’s why it’s important to pay your debt monthly installments on time. A poor credit history scares away future lenders because they will become hesitant to offer you credit when your credit report shows a terminated auto loan. A comprehensive auto insurance cover provides compensation for damages directly attributable to collisions and events specified by the insurance provider. If you lack one and your car sustains serious damages in a city riot, guess who pays for the damages? You. Since you don’t own the car yet, your lender expects you to repair it as soon as possible. In this situation, it’s hard to negotiate for some time to save up for repairs because the lender is already angry with you for violating the contract. Any delays on your part can push your auto loan lender to take legal action against you. An auto insurance score is a three-digit score that indicates a car owner’s probability of filing for compensations. It has a similar range and ranking system as credit scores. A car owner with 719 points pays much cheaper car insurance quotes than a driver with an auto insurance score of 500. Car insurance companies determine your auto insurance score by analyzing your credit score, history with previous car insurance providers, and driving history. If your previous auto loan lender terminated the contract, your credit score suffered due to affected payment history. This effect spills over to your auto insurance score. It’s advisable to save up for car insurance while saving for a car deposit. This enables you to stay ahead of comprehensive auto insurance payments and have sufficient net income every month to fulfill your car’s needs. Also, make sure you window shop for affordable comprehensive car insurance rates before purchasing a car. Complete Auto Loans is willing to help you find affordable auto loans today. Do you need help finding an affordable comprehensive auto insurance provider? Get in touch with us today!